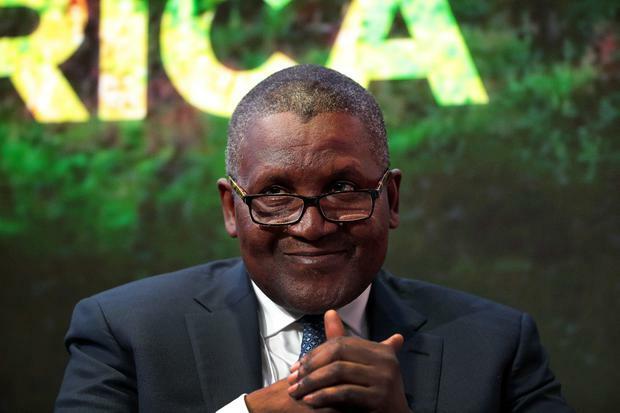 Aliko Dangote, who owns the Dangote Group, told the story at a forum in Abidjan, Ivory Coast, on Saturday. "When you first start a business your target is to make your first million," the Nigerian businessman said. "But after a year or so, I realised that I had much more than $12-13bn (€10.6-11.5bn), and I said OK, all these numbers are just written numbers. "One day I went to a bank, at that time there were no restrictions, and I wrote a cheque and cashed $10m. And I took it home for myself. And I put it in the boot of my vehicle and I went home and I opened it and I looked at $10m and I said: 'OK fine, now I believe I have money.'" "I took it back to the bank the next day," Mr Dangote added. Asked how much money he had in his wallet, he said: "Not even a dollar. Nothing." The Nigerian was ranked 23rd richest person in the world in 2014, according to 'Forbes' magazine. He now has a fortune of $10.6bn (€9.4bn).